Ranveer Singh is playing cricket legend Kapil Dev in the film. Pankaj will take on the role of former team India manager PR Man Singh. 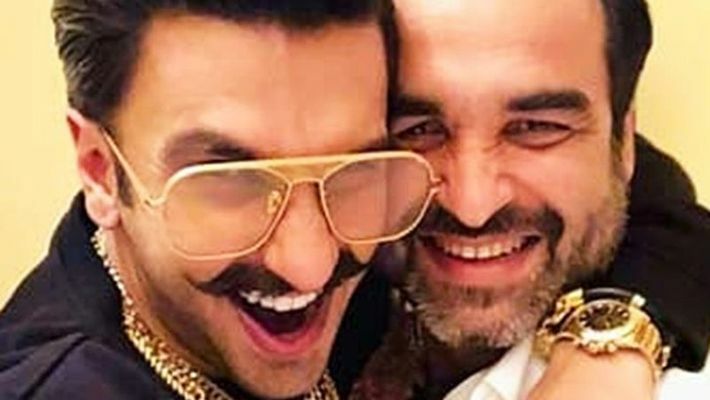 Actor Pankaj Tripathi has boarded the cast of Ranveer Singh-starrer 83. The sports drama, to be directed by Kabir Khan, will chronicle India's win under Kapil's captainship when the Men in Blue defeated West Indies in the final to clinch their first-ever World Cup trophy in 1983. "It was an emotional ride for me while going through the script. At some of the places, I was in tears. I am really inspired by the whole journey of Kapil Dev. From when I heard the script, I was certain that I wanted to be a part of this film," the actor said in a statement. The much-awaited film will release on April 10, 2020. 83 is produced by Madhu Mantena, Vishnu Induri and Khan, and presented by Reliance Entertainment.